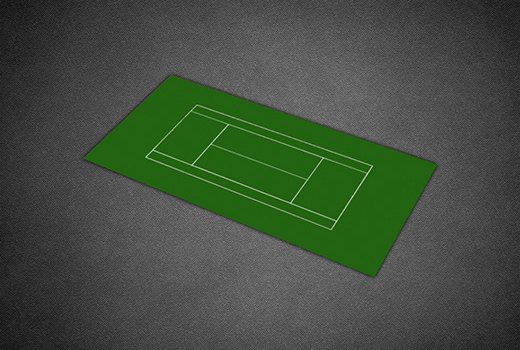 The Duraplay Full Tennis Court kit provides a standard singles and doubles court surface complete with drawn 12” sidelines, 3’ alley lines and other relevant lines. 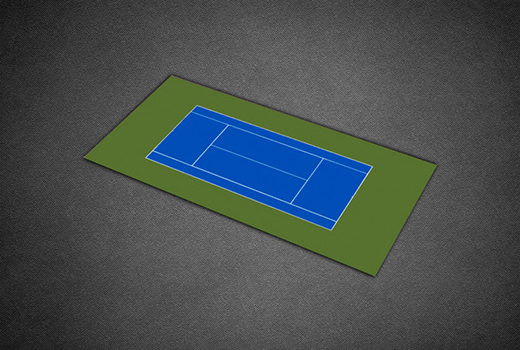 Designed for both commercial and consumer applications, this kit is ideal for those looking for a safer, more attractive, and easier to maintain outdoor tennis court surface. The 60’ x 120 ’Full Tennis Court kit is available in 3 color combinations as shown below. 59' 1" x 119' 10"
59' 4" x 120' 2"